Network. Dancing alongside world-renowned faculty gives you the chance to show off your talent and prove you're a reliable professional, and could help you make the connections you need to score your dream job after college. Be well-rounded. New York City Dance Alliance assistant and Marymount Manhattan College alumna Alyssa Ness says assisting has exposed her to new styles and choreographers: While her college program focused on ballet and modern, at NYCDA she has assisted with everything from hip hop to musical theater. Get real-world experience. For BellaMoxi faculty assistant and Institute for American Musical Theatre student Eliah Furlong, assisting prepared him for the realities of a professional dance career—from the late-night rehearsals to the early-morning warm-ups. The road to assisting is different for each convention. 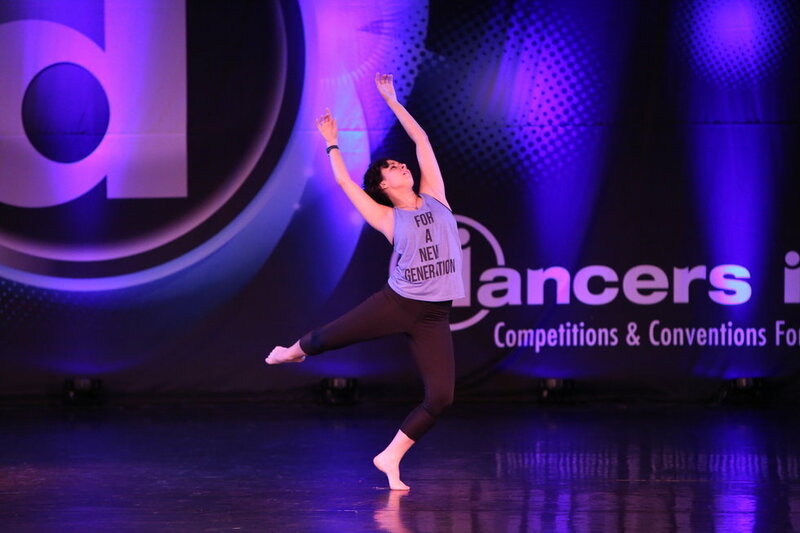 At NYCDA, positions are given to dancers who win a specific title, like National Outstanding Dancer. For others, you'll need to submit an application with your resumé, headshot and videos of dance solos. If you've attended a convention before, you know that it can be a whirlwind. As an assistant you should expect the weekend to be even more fast-paced, says BellaMoxi faculty assistant and Institute for American Musical Theatre student Jordan Koch. Responsibilities can range from demonstrating in class and rehearsing for performances to helping with administrative jobs like registration. You may have to miss a college class or two for travel, so make sure you know your school's absence policy, and communicate with your professors to catch up on material you may have missed. While some schools have preexisting partnerships with conventions (like Marymount Manhattan College does with NYCDA), it's best to sit down with your program's director to see if taking on an assistant position is feasible. Do: Put school first. Katie Langan, dance department chair at Marymount Manhattan College, says convention assistants should make college their priority. "Your goal is to get through four years of education, and if the other job becomes too cumbersome, know enough to step back," she says. Don't: Try to go to every city. While some conventions may require you to go to a minimum number of cities, it's not in your best interest to assist at all of them. This kind of schedule isn't sustainable and could put dancers at risk for injury, Langan says. Do: Plan ahead. "Don't forget that your midterms and finals and papers are important," says former Dancers Inc. assistant and New York University Tisch School of the Arts alumna Lauren Settembrino. When you're deciding which conventions to attend, take into account assignments and exams, not just performances. Don't: Waste your energy. Settembrino says that giving 100 percent for every combination in every class can lead to burnout. Be strategic about when you need to go full-out.